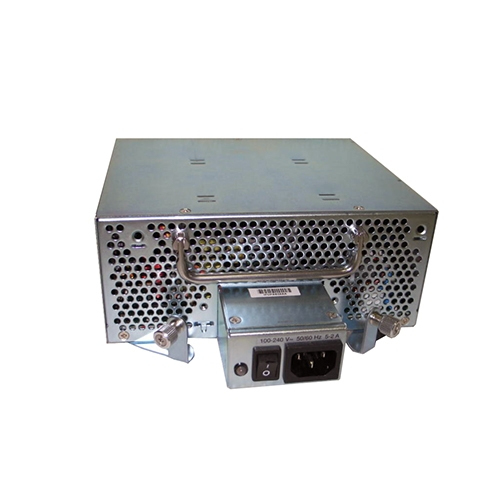 You can order each Cisco 3900 Series platform with dual power supplies that you can configure for power-supply redundancy or increased power for Power over Ethernet (PoE). The primary and secondary power supplies can be AC, PoE, DC, or any combination thereof. In order to power PoE ports on a switch module integrated into a router, you must order the router with a PoE power supply. - An optional upgrade to the internal power supply provides inline power (802.3af-compliant PoE, Cisco ePoE, and Cisco Inline Power) to optional integrated switch modules. - An optional DC power supply that extends possible deployment environments such as central offices and industrial environments will be available in the future.